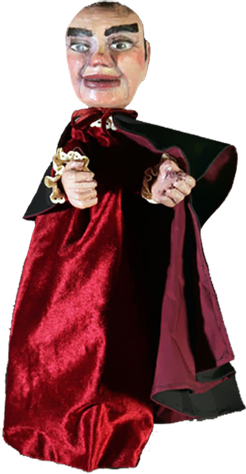 British actor-puppeteer and historian of circus, puppetry and toy theatre. 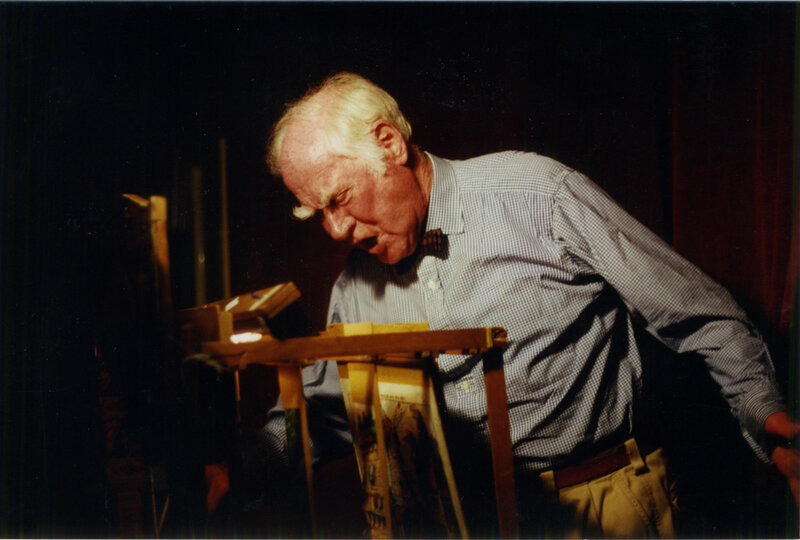 George Speaight was a solo practitioner of trick marionettes and toy theatre (also known as paper theatre), and for some years, at the beginning of his career, performed with Olive Blackham‘s Roel Puppets, and in his later years with the London-Munich Puppet Players (now the Puppet Players), a group established in Federal Germany. 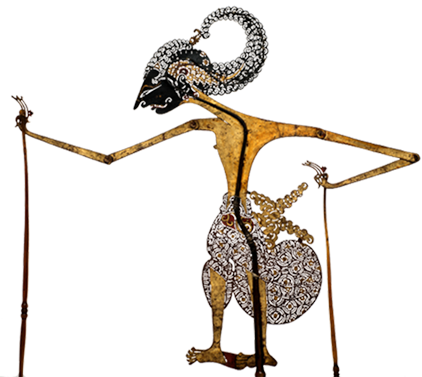 In 1947, he acquired, with Gerald Morice, a collection of Victorian string puppets (marionettes) which after their restoration he presented in the Battersea Pleasure Gardens during the Festival of Britain in 1951 in a programme of variety and music hall. In 1950, he manipulated the puppets in a scene from Ben Jonson’s Bartholomew Fair produced by the Old Vic Theatre company. 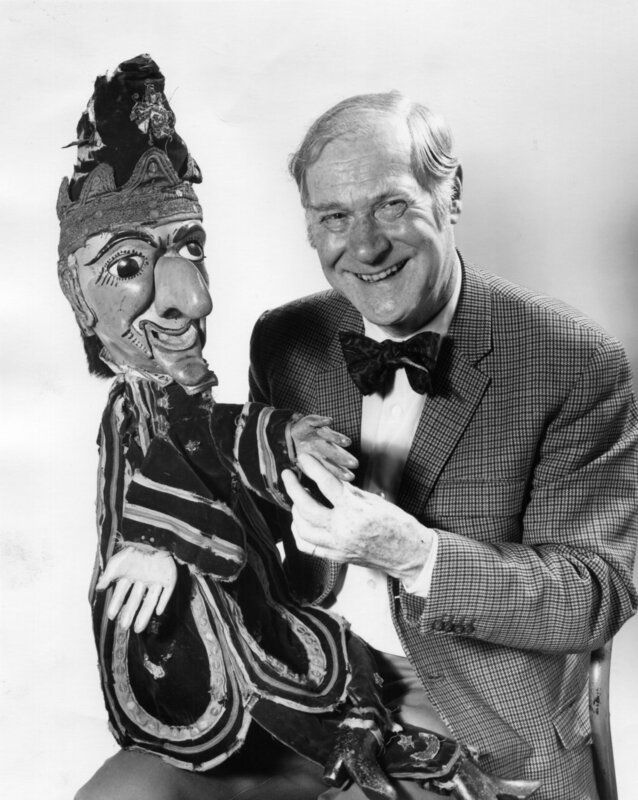 Between 1952 and 1955, he presented marionettes on BBC television. George Speaight published Juvenile Drama: The History of the English Toy Theatre (London, Macdonald, 1946 and London, Studio Vista, 1969), The History of the English Puppet Theatre (London, Harrap, 1955, and London and Illinois, Robert Hale and South Illinois University Press, 1990), Punch and Judy, A History (New York, Plays Inc., 1970, and London, Studio Vista, 1970), and Collecting Theatre Memorabilia (Derbyshire, Moorland Publishing, 1988). George Speaight was a founder and later vice-president of the Society for Theatre Research whose periodical Theatre Notebook he edited for some years, when he also effected the publication by the Society of The Life and Travels of Richard Barnard, Marionette Proprietor (1981). He was appointed Fellow of the Royal Society of Arts. 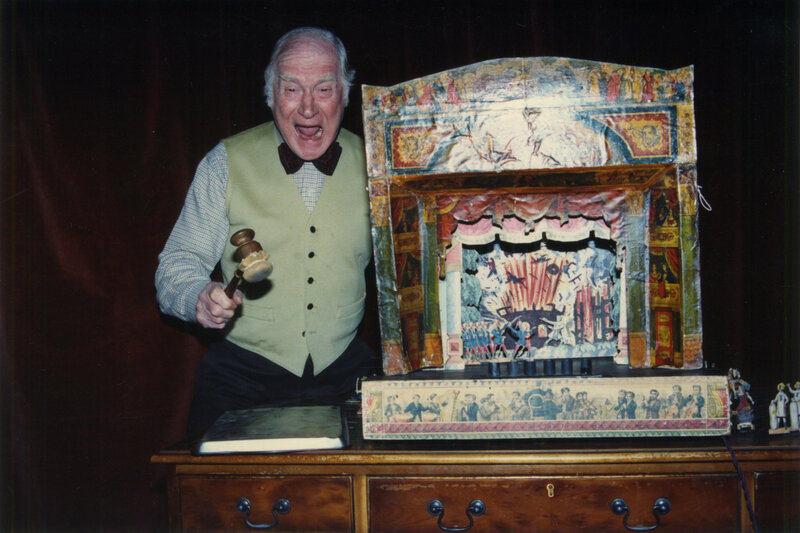 He was for many years an active member of several organizations connected with his theatre specialisms (circus, toy theatre, puppetry), including the Committee of the British Centre of UNIMA. He was made a Member of Honour of international UNIMA in 2005. “À propos du théâtre de papier en Angleterre” [About the Paper Theatre in England]. Cahiers du théâtre de papier. No 1. Troyes: Papierthéâtre, 2000. Speaight, George. John Wright and the Little Angel Theatre. London: Potheinos Ltd., 1980. Speaight, George. Juvenile Drama. The History of the English Toy Theatre. London: Macdonald & Co., 1946; rpt. London: Studio Vista, 1969. Speaight, George, ed. The Life and Travels of Richard Barnard, Marionette Proprietor. London: Society for Theatre Research, 1981.